This week my Princess and I decided to make some Valentine’s Day Cards. 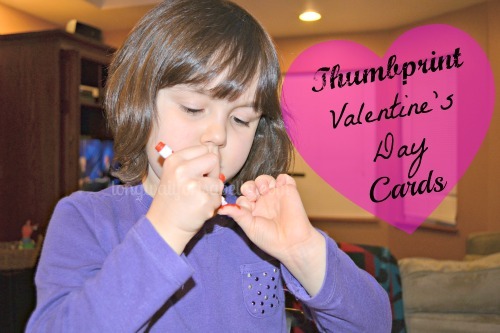 Gaining some inspiration from a stocking stuffer I bought for her, we decided to do Thumbprint Valentines. I cut out the colored paper she’d need for the cards and my Princess did the gluing, colored her own thumb and decorated her thumb print. She did great! She loves thumb print creations. We used washable markers so the ink washed right off. 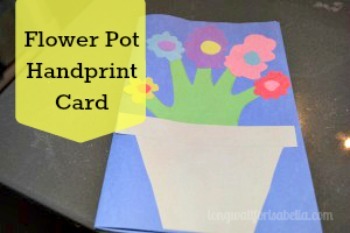 Thumbprint Tulip Cards Just in Time For Spring 6 Handmade Valentines Day Cards Mother’s Day Preschool Card Easy Shark Valentines Card for Kids! Thanks Christy! I appreciate you! That looks like something even I can do. 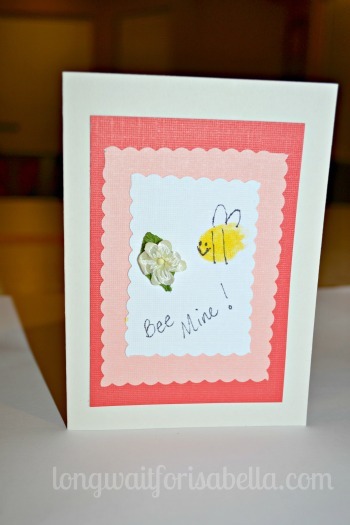 I will be using this with my little one to make valentines for his brother and dad. It is so easy and my 5 year old loved it. Thanks for coming by Jennifer. How adorable are these? Love them! Those are absolutely adorable. What a cute idea to do with the kids. Thanks. Oh my goodness, so so sweet! I love it! I’m wondering if you think an 8-year-old would have fun with this project? What do you think? 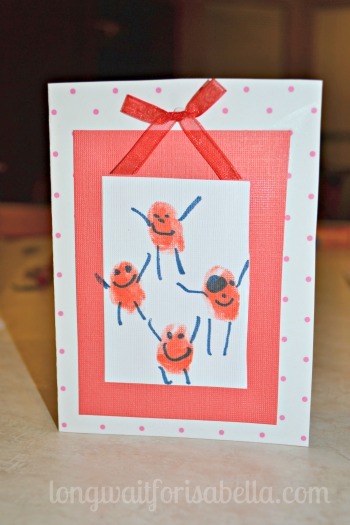 I just love the idea and they are such sweet Valentines! I think an 8 year old would like to make it. She could do the cutting and even personalize it more. Super cute ideas and it looks very easy which is always a plus in my book. Wow thank you for these. The Bee Mine tags were really cute. OMG! Thanks for the amazing ideas. 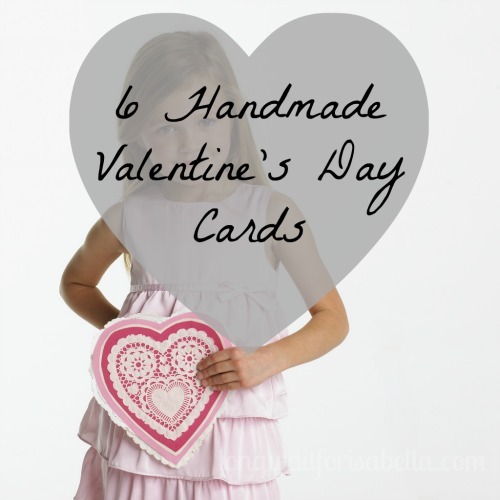 My girls are the perfect age to make homemade valentines without them looking like a MESS! lol I’m gonna pin this for sure! So adorable! Love these cute cards. Found you via Blogelina and glad we connected! This is such a cute idea! I will have to do it with either my girls or Bible Class! Thanks! OMG these great ideas, my 5 and 7 year old are going to have one heck of time picking out which one to make! Those are so cute. When my kids were little we used to do things like this all the time. However we didn’t have Pinterest to go to but fortunately I have an “artsy fartsy” daughter. This looks like such a cute idea. I know my daughter has a book showing how to make all kinds of art using your finger and thumb prints. We will be making some cards using this idea. Thanks for sharing. Just pinned this. These are super duper cute! This such a great idea. Fantastic for those on a budget, cimply some pretty paper, plain paper paint and a pen – cool stuff. I reckon a lot of adults would secretly LOVE to ahve a go too LOL!! Thanks for a fun post. 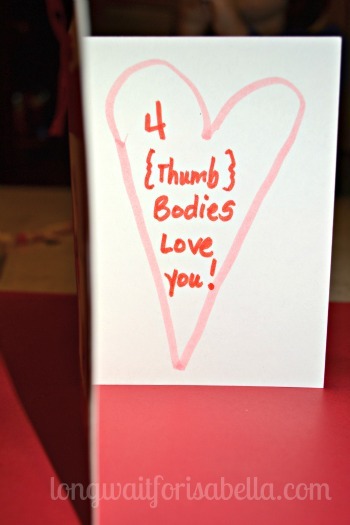 What an awesome concept for a Valentine’s project! You should share this with us at Inspire Me Monday at Create With Joy! Those are really cute! And it looks like they’re quite easy to make! Very, very cute! I think my son’s finally old enough to do a craft like this (with my help, of course). I’m pinning this, so we can make a card for his Daddy! 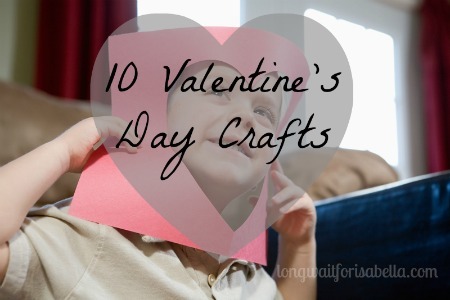 I like crafts that are age appropriate that my kids can actually do. Thanks for coming by Elisebet. Such a cute idea! I love this. 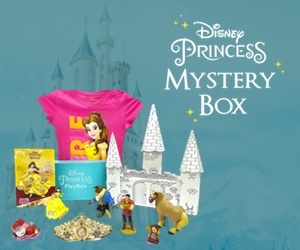 Definitely perfect for parents and grandparents too!